What could be better than giving a scary book this October? 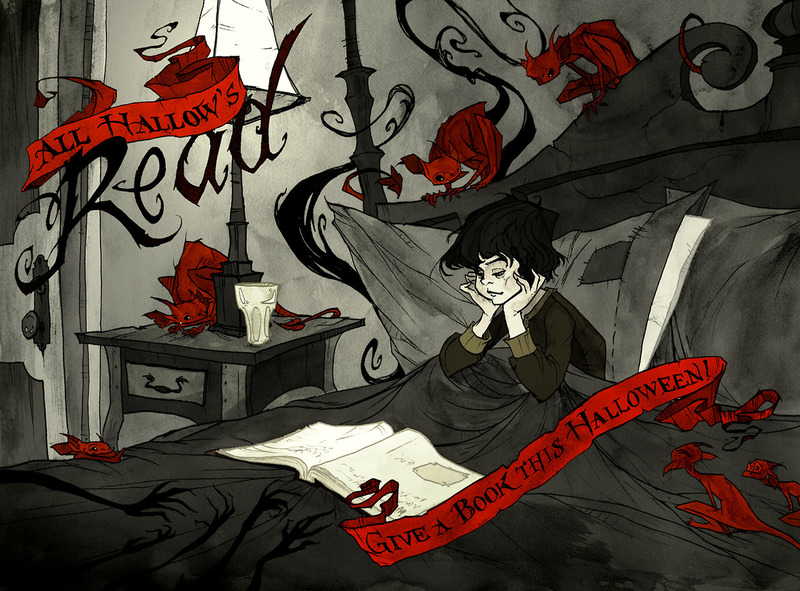 Neil Gaiman is at it again for this year’s All Hallow’s Read! Do a spooky exchange with your best friends or maybe co-workers. Long lasting, and zero calories, your dentist will thank you for partaking in reading instead of indulging with Halloween sweets! Every year I love the art they do for this awesome event. Look at how gorgeous that picture is! Doesn’t it make you just want to curl up with something scary? What’s your horror story to read during October? I always run to Stephen King. The Shining is personal favorite of mine. Happy spooky reading!